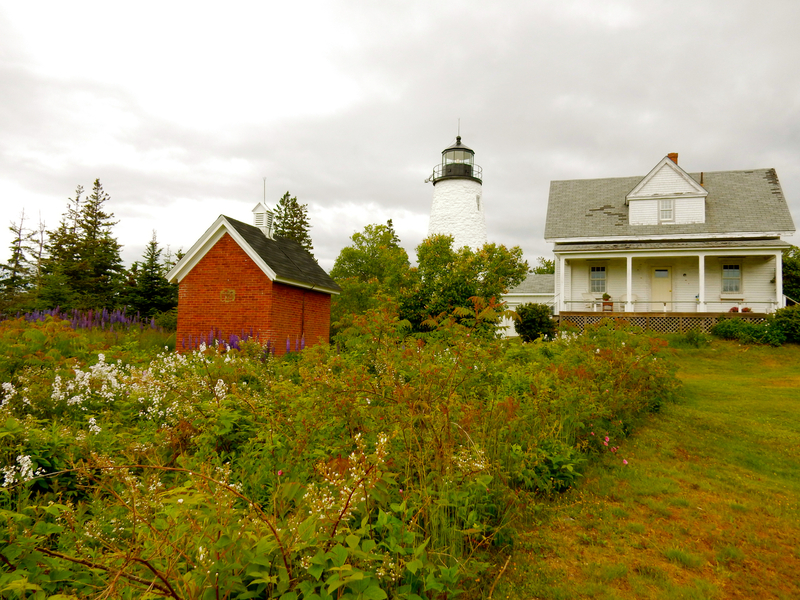 WHY GO: Far off the well-trod Route 1, visiting Castine ME and the Blue Hill Peninsula is another great escape from the hordes. Just an hour from booming Bar Harbor, time seems suspended here, especially around Castine’s Town Green– a whitewashed series of buildings that include the Unitarian Church, Town Hall, and Historical Society – and the waterfront, not much more than a couple of restaurants and docks. 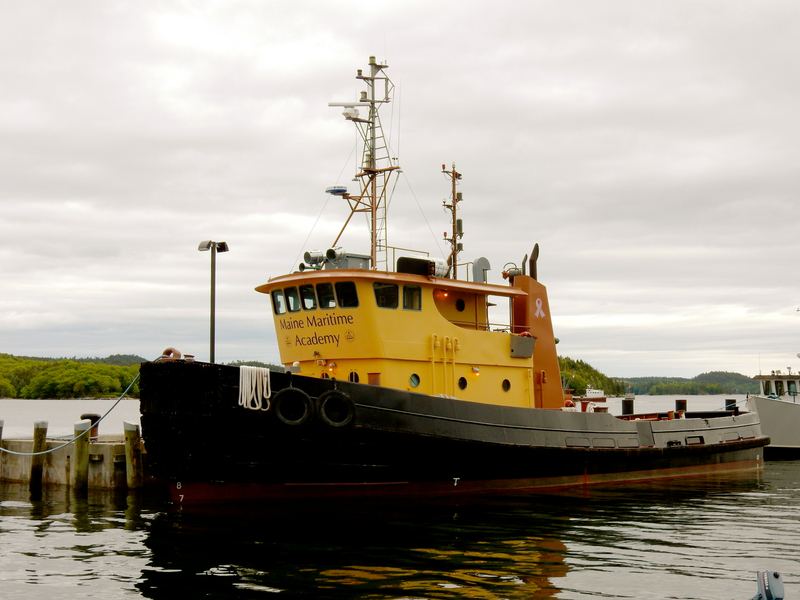 The four-year engineering college, Maine Maritime Academy, is situated in Castine – as well is should be as it’s the deepest harbor in Maine. 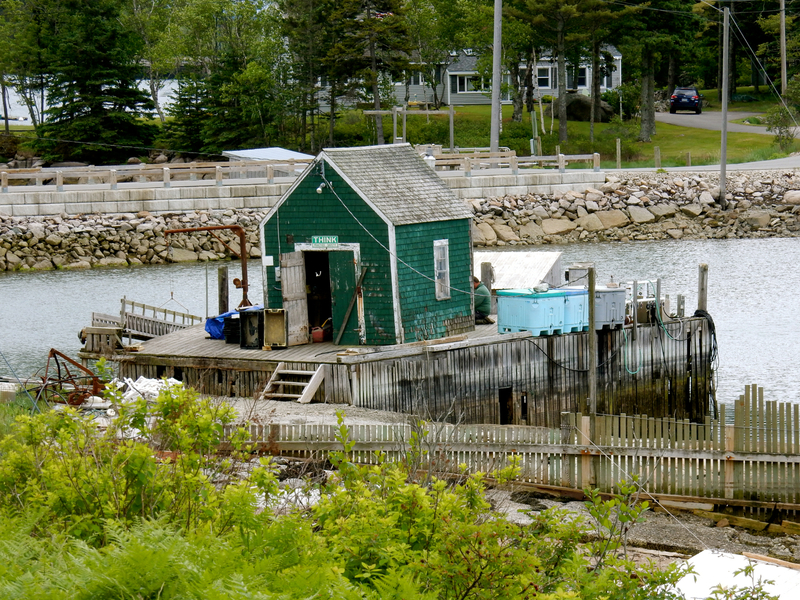 But besides the students and those who choose to live here, life is quiet in these parts, which include the beautifully rustic Blue Hill Peninsula and Stonington on Deer Isle – what some folks call the last true fishing village in New England. This obscurity compels those who really want to get away from it all to visit. The Getaway Mavens tell you how. 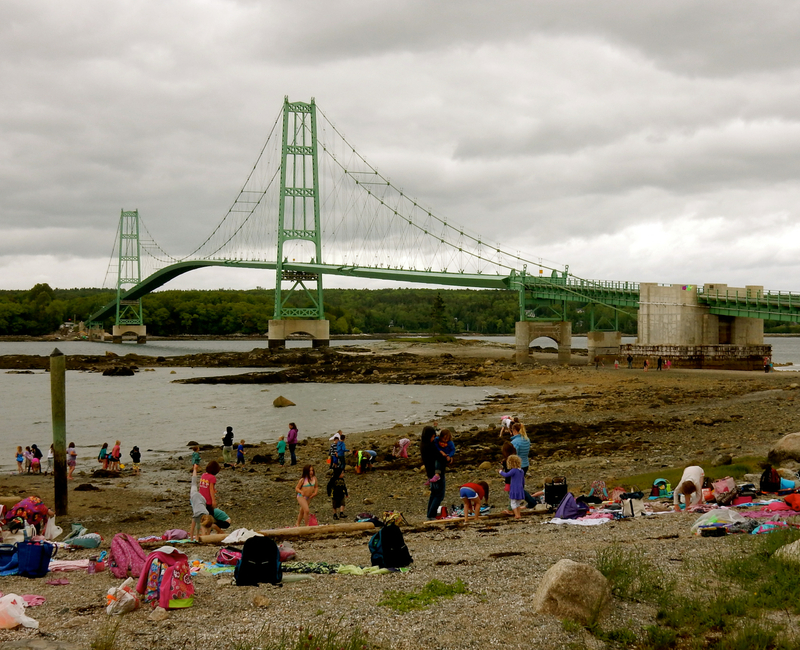 TOUR: Penobscot Narrows Bridge and Observatory and Fort Knox State Historic Site. 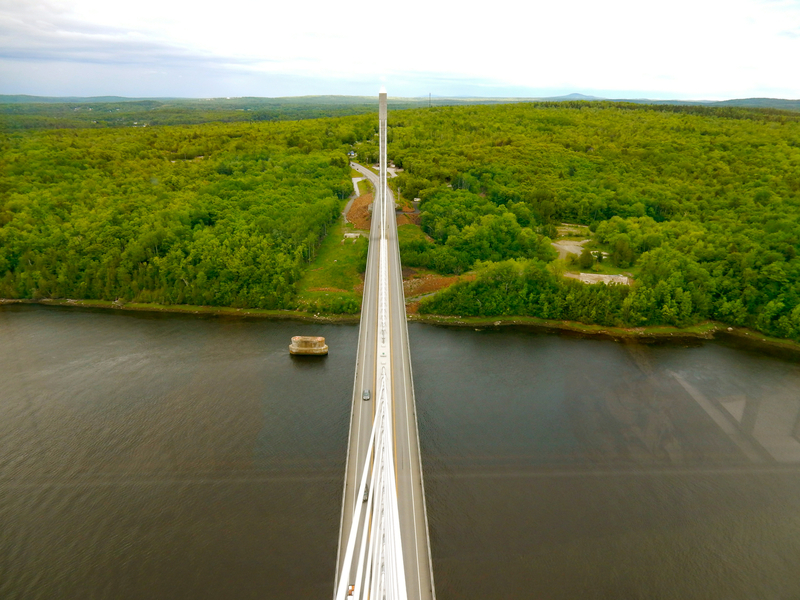 On your way to Castine (18 miles away), heading North on Route 1, you’ll drive over a striking harp of a bridge spanning the Penobscot River. You can actually take a minute-long elevator ride inside one of the soaring pylons that hold the bridge in place to an enclosed observation platform at the top– a very neat-o experience. The Observatory and Fort might seem incongruous, but they both allow great views of the Penobscot River and are historic in their own way. And, inconceivably, both sites share a common entrance. 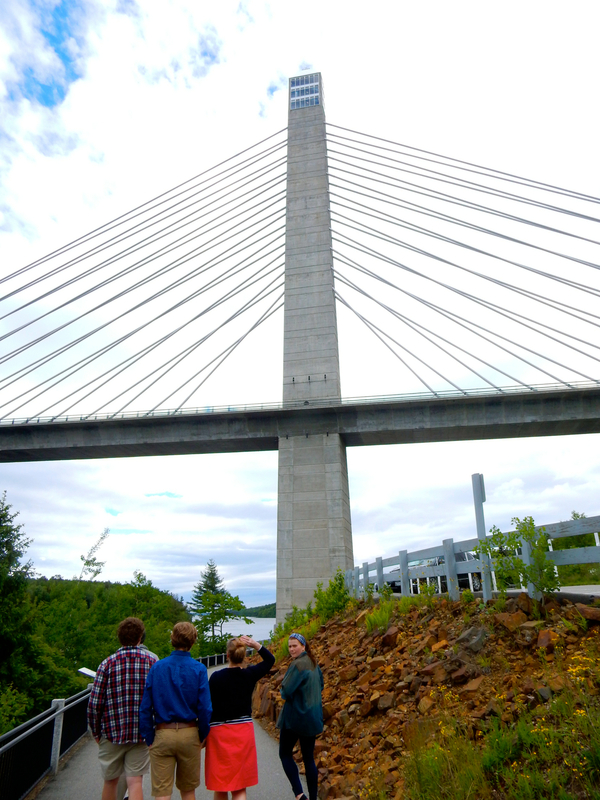 The Penobscot Narrows Bridge and Observatory, built in 2006, is the “Tallest Public Bridge Observatory in the World.” You’ll enter the Fort Knox Historic Site, purchase a ticket at the gate and park below the bridge. Soon, you’ll be zipping up over 400 feet to nearly the top of this landmark structure then take another few sets of stairs up, for vertiginous views of Maine’s Penobscot River and region. 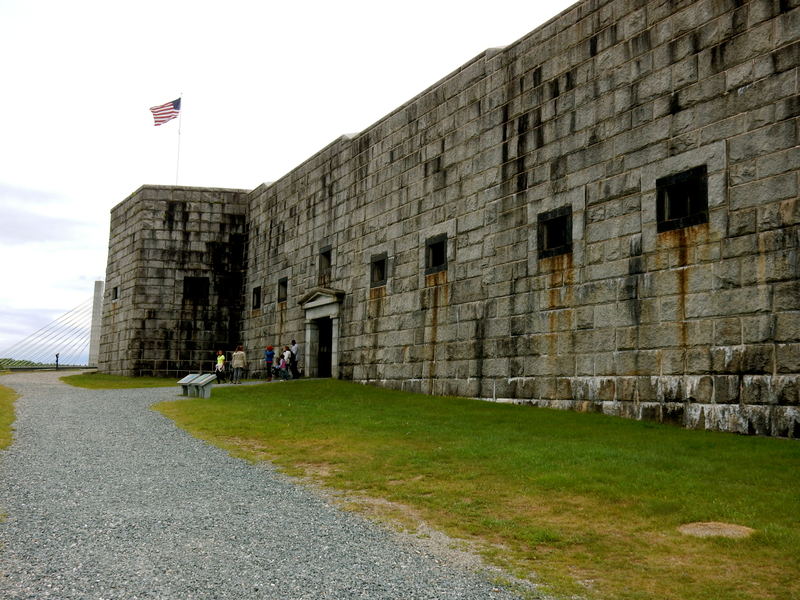 Though Maine’s Fort Knox, built in the mid 1800’s, never saw battle (or one bar of gold), it was the state’s first granite fortification. You can wander around here for free to drink in its history and setting on the Penobscot River. $7 adults, $3 kids for Fort and Observatory, open daily May-October 9-5 (July and Aug open until 6pm). 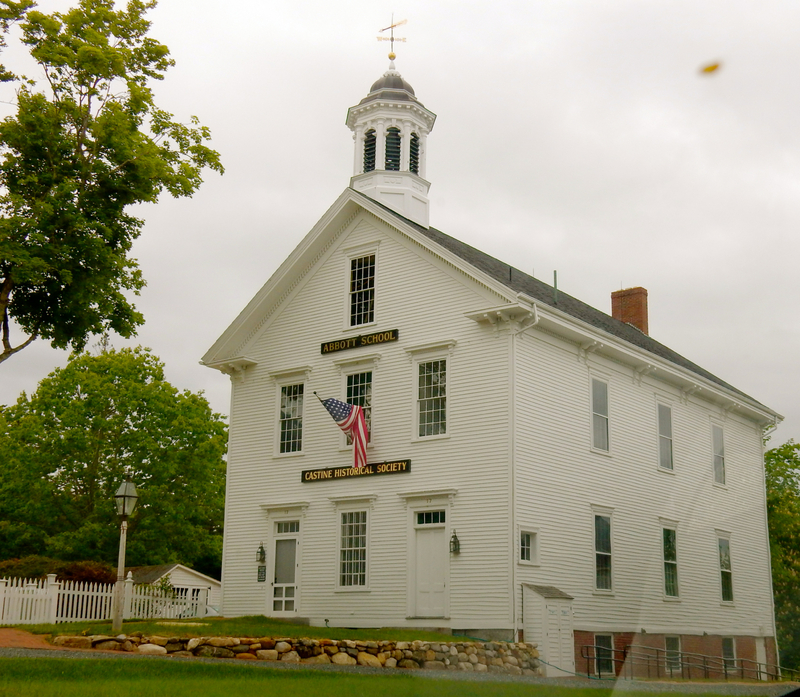 VISIT: Wilson Museum, Castine. 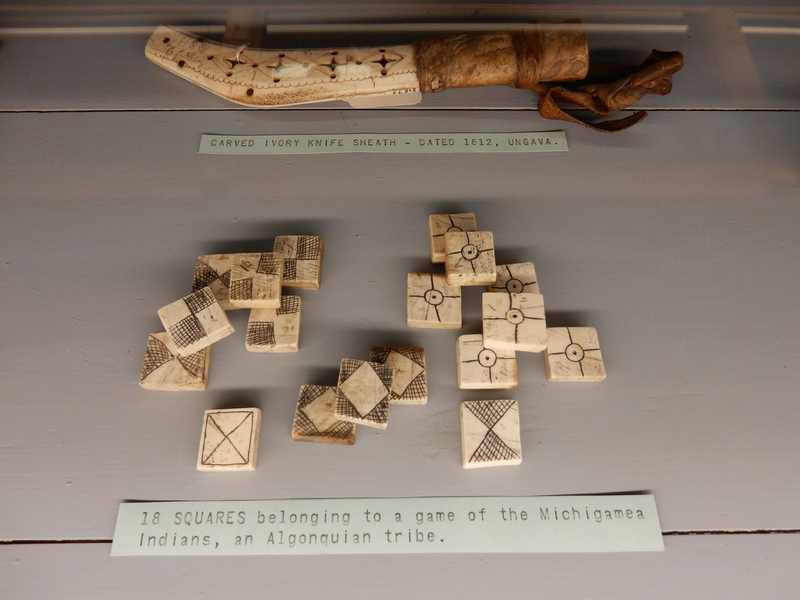 It’s a little curio cabinet of a museum with fantastic harbor views and worth a few minutes to hone in on a few items, like sewing needles made from animal bone and 19th century game pieces fashioned from ivory. Anthropologist, John Howard Wilson, founded this Archeology Museum in 1921, with artifacts from six continents. The glass cases in which this eclectic collection is displayed are original – making for a very authentic albeit small institution. Objects displayed reflect the history of man through the study of tools; from stone to bone needles to polished beads and heftier, more finely tuned gear from Bronze and Iron Ages. Open end of May thru Sept. M-F 10-5, Sat/Sun 2-5, free. PHOTO OP: Dyce Lighthouse. In private hands now, it’s still a pretty sight. You can walk on a trail behind the property for some great vantage points. PADDLE: Castine Kayak Adventures. Join a half-day ($55), full day ($105) or sunset ($45) paddle through Castine Harbor to island beaches, wooden boats and even a shipwreck. But for the coolest adventure, take the Bioluminescent Night Paddle offered Friday and Saturday evenings in season ($55) when each stroke of the oar causes millions of organisms in the water to light up. SAIL: Castine Cruises. Here’s the other way to get out onto the water – take a two hour sailing excursion aboard the beautiful Guildive. 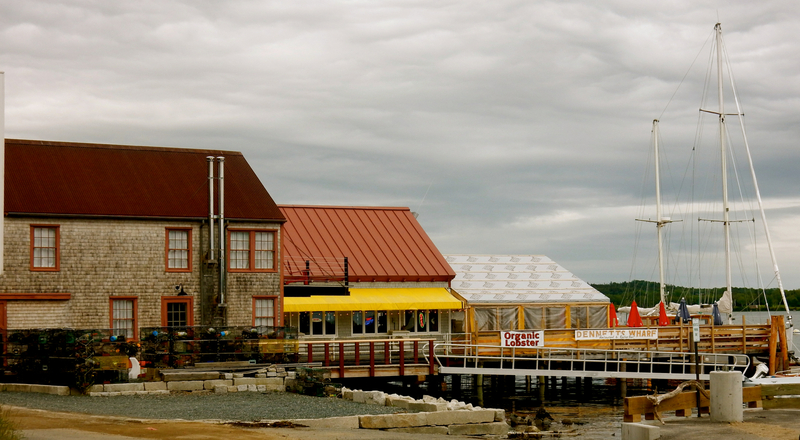 Leaves from Dennett’s Wharf Restaurant daily at 10, 12:30, 3:30 ($45) and sunset 6pm ($50). STROLL: Town Green. Unitarian Church, Town Hall, Historical Society bathed in white. True New England charm. 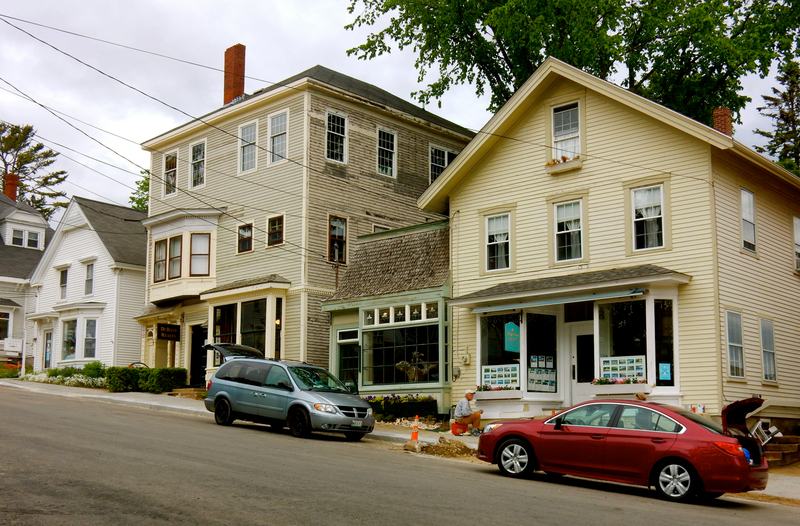 SHOP: There are a few serious art galleries and gift shops in Castine. Be sure to check out Gallery B, Lucky Hill and Dan Graziano Fine Art – all on Main St., and the Adam Gallery (140 Battle Ave), featuring the saturated-color oils of Joshua and Susan Adam. DRIVE/PHOTO OPS: Blue Hill Peninsula and Deer Isle, including Stonington, and the retiree favorite, Blue Hill ME. If you stay at the Pentagoet Inn, owner Jack Burke will provide you with a directions and stopping points on the peninsula just east of Castine. Driving the perimeter and making all the stops (too many to outline here) will take upwards of 6 hours, a full day trip, but well worth it. 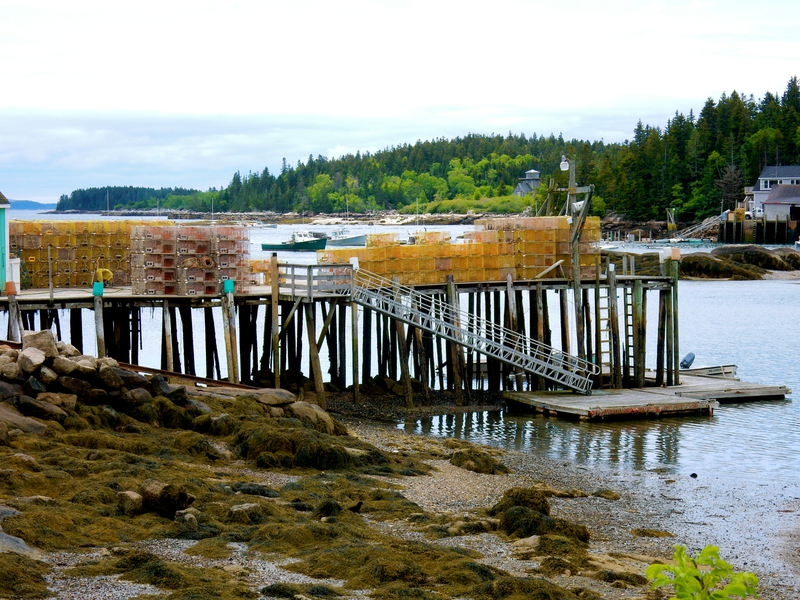 Getting to Deer Isle involves crossing a narrow green iron bridge, with a steep ascent going over, and descent coming back, and can be rather harrowing. 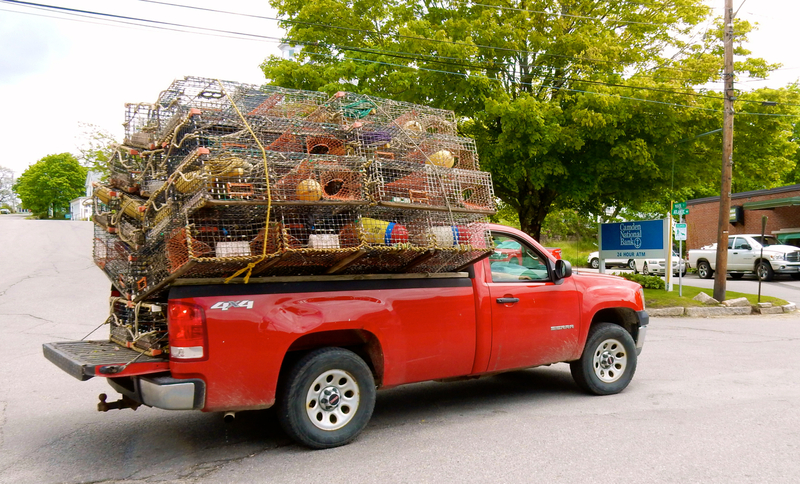 Stonington, at Deer Isle’s southernmost point, is considered one of the last “true” commercial fishing villages in Maine, and it won’t be tough to find fishermen loading lobster traps on trucks or stacks of traps laying around docks. 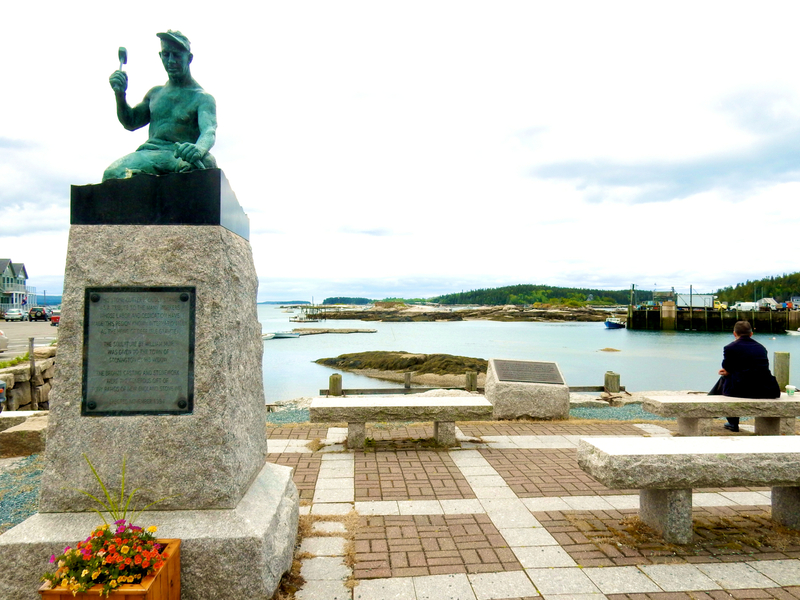 But Stonington also harbors a small art colony, with several galleries to explore. So, park, get out of your car and have a look around. It is utterly charming there. 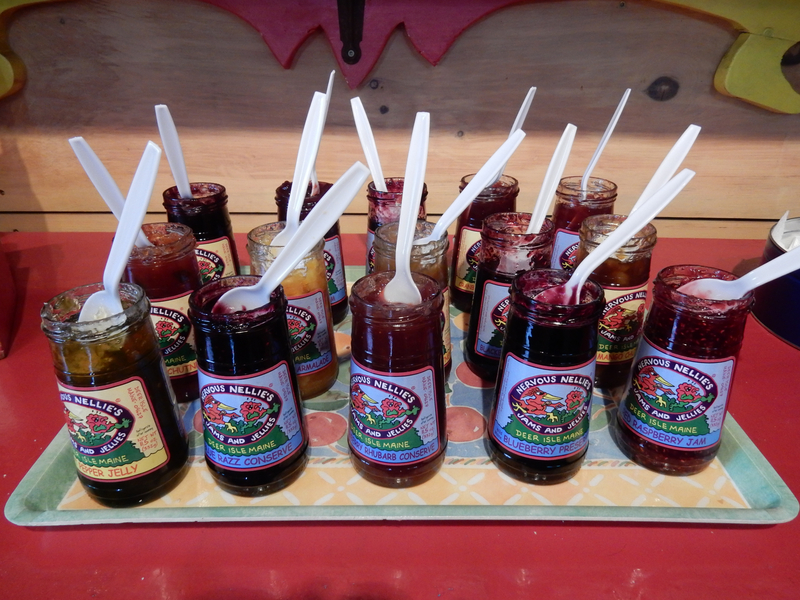 Before heading back across that crazy green bridge, take a 3-mile detour (each way) off of Route 15 to Nervous Nellie’s Jams and Jellies owned by Anne and Peter Beerits. 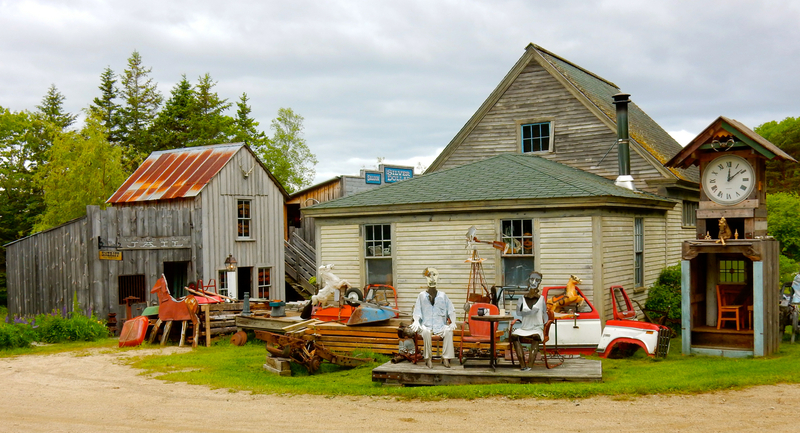 You can’t miss the place – the property is festooned with Wild West facades right out of a 60’s TV Western, and lots of funky sculptures created by Peter. The “no artificial anything” small batch jams and Chutneys are made onsite, and though Nellie’s ships, a good number of fans make the pilgrimage – at all times of year – to say hi to Anne and Peter and stock up on the sweet stuff. EAT: Pentagoet Inn. If it’s open, go there. It’s the best dining in town. 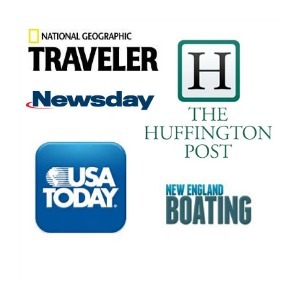 (See below under “Where to Stay”). EAT: Dudley’s: Great Fried Fish tacos. EAT: The Wharf. The sign says “Organic Lobsters,” but heck, that’s just silly. The food here is ok – especially those “organic” lobsters steamed just like we like ‘em – and local talent on live music nights is actually better than decent. 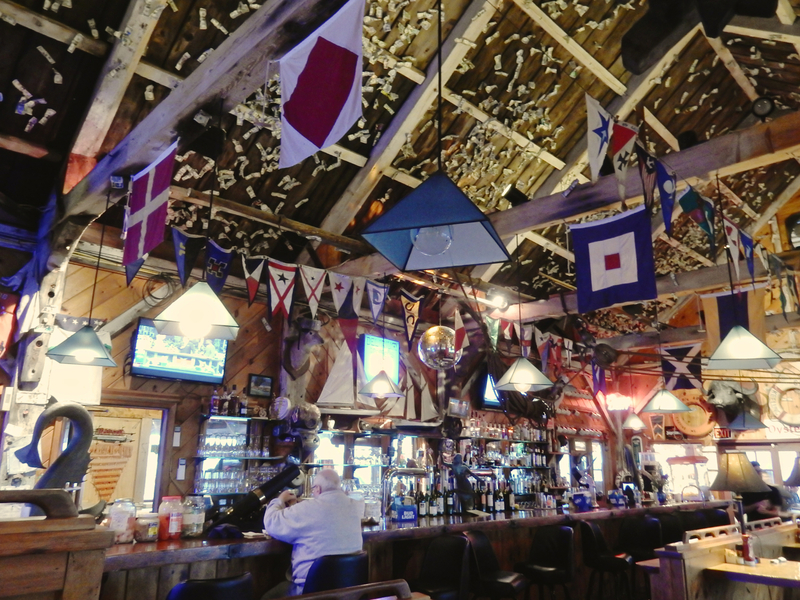 But the quirkiest aspect to this waterfront restaurant is the major collection of dollar bills stuck way, way up high on the wood barn rafters. How did they get up there? You’ve got to contribute a buck and a quarter to find out. 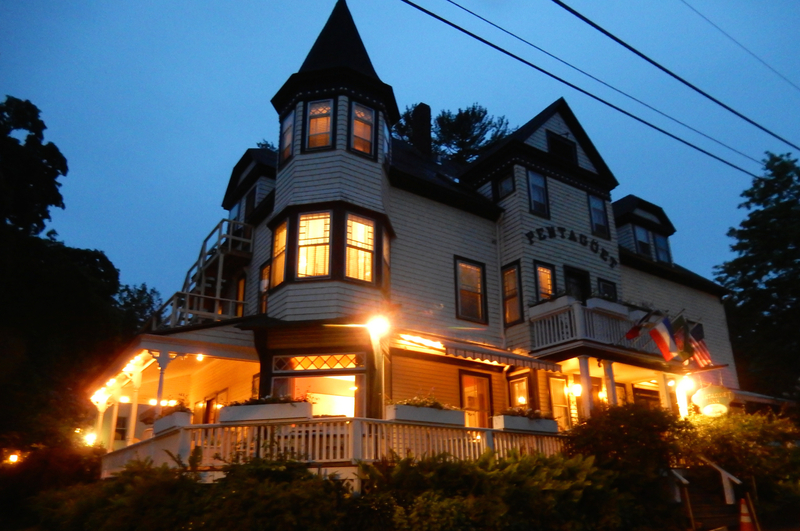 STAY: Pentagoet Inn, Castine. 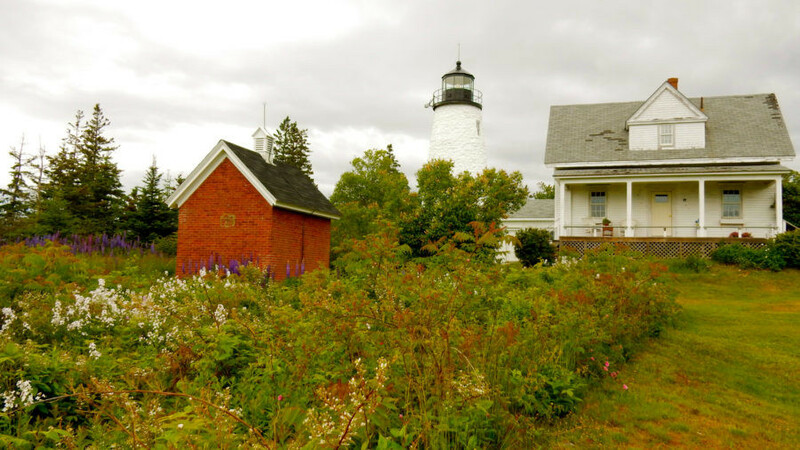 She’s the queen on the hill, a lovely Queen Anne gal overlooking Penobscot Bay – an oasis of tranquility on the crowded Maine Coast. On the Select Registry, the 1894 Pentagoet Inn caters to the quirky foodie traveler who really wants to escape from the world and unplug.As a Maven Favorite, the full write-up of this beauty can be found HERE.